At Dedham Ophthalmic Consultants and Surgeons, we understand that maintaining good eye health is a partnership. Our physicians and staff will take the time to explain the results of your eye examination. We encourage you to ask questions and share your health information, which we consider vital to monitor, diagnose and treat your vision care needs. So you’re thinking about contact lenses? Compared to eyeglasses, contacts may offer sharper vision and more natural light. Contact lenses move with your eye which allows for a more natural field of view without the obstruction of frames. Contact lenses are excellent for sports and other activities since they do not break or get foggy when you get sweaty, or while cooking. Many people prefer the way they look with contact lenses. Compared to glasses, contact lenses require a longer eye examination and more frequent follow-up visits to maintain eye health. 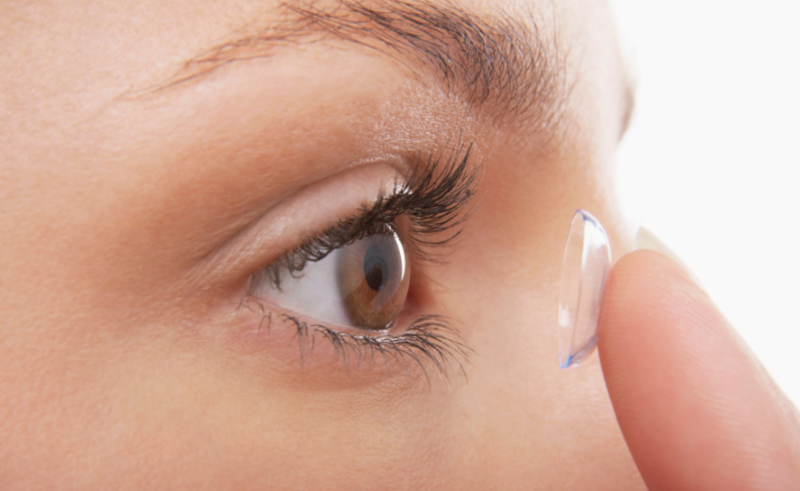 Inserting and removing contact lenses, cleaning and caring for contact lenses can be more time-consuming than glasses. If you are wearing disposable or planned replacement lenses, you will have to carefully follow the schedule for disposing the used lenses and acquiring new ones. Our protocol is a bit regimented, but for GREAT reasons! Your vision is our number one concern. Knowing our clients are fully educated with the process to insert, remove, and care for contact lenses is a priority. Your first visit will consist of an extensive and thorough eye examination. Your eyes will be dilated so that our optometrist may see the back of your eye to ensure your retina is healthy and you are a good candidate for contact lenses. Following your contact lens consultation, our clients are required to visit our office after their newly prescribed lenses have arrived. This visit is vital to the success of your contact lens experience. During your visit, one of our highly trained technicians will walk you through the process of inserting and removing your contact lenses. You MUST be able to successfully insert and remove them three times, without incident. If you are able to leave with your trial lenses, you will be asked to wear them for 7-10 days. You will then be instructed to return to our office to share your experience with your contact lenses. Are you able to insert and remove them without any problems? Are you properly caring for them? To summarize. The process of acquiring contact lenses takes 3-4 visits to our office. Be prepared for a lengthy initial eye exam, followed by a contact lens fitting visit and then potentially 1 or 2 follow-up appointments thereafter. This all done for the safety of your eyes and to ensure good vision.